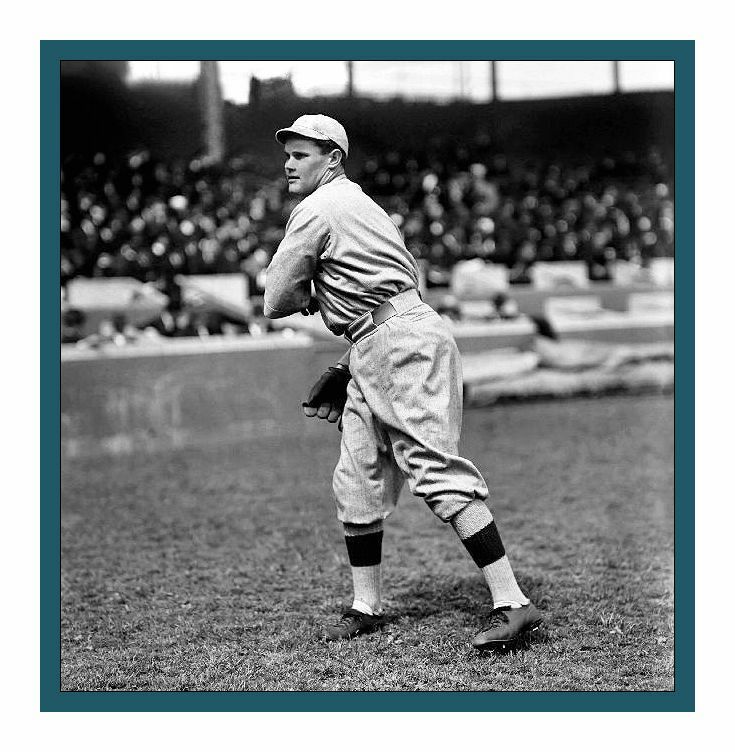 Hubert "Dutch" Leonard was a member of three World Championship clubs for the Red Sox: 1915, 1916, and 1918. However, his very best season for Boston was his second, 1914. In that year, Leonard put up a 19-5 record with the best ERA of any pitcher in the history of 20th and 21st century baseball: 0.96. His time with the Red Sox produced a won/loss record of 90-64 and a 2.13 career ERA. Leonard had an even-better record in the World Series, throwing one complete-game victory in 1915 and one complete-game victory in 1916. He was 2-0 in World Series play with a combined ERA of 1.00. Left-hander Dutch Leonard had far more potential than he wound up showing over the course of his 11 seasons in big-league baseball. He was brought up by the Red Sox in 1913, posting a 14-17 record but a very good ERA of 2.39. It was in his second season that Leonard flashed his true potential, when he went 19-5 with a 0.96 ERA, which remains a record for modern baseball. But Leonard didn’t seem to care for baseball much. He routinely showed up for camp overweight, and was known for his late-night carousing. He had good reason not to care much—he owned a successful grape farm in the Fresno area, and only wanted to use baseball as a way to gain publicity for his raisins. After his masterpiece of a ’14 season, Leonard settled into a career of good-but-not-great seasons, frequent injuries and only occasional brilliance. Not surprisingly, he turned to bending the rules. He showed up for spring training in 1918 late and out of shape—manager Ed Barrow had Leonard jogging while wearing the, “rubber shirt,” a spring training tradition for overweight players. Leonard struggled badly in the early season. In a start against Cleveland on May 21, the Indians complained that Leonard was using licorice spit to load up the baseballs. Dutch Leonard with the Red Sox in 1916. (Photo courtesy of the Library of Congress.) Indeed, Leonard did become a spitball pitcher, and when baseball eventually banned the use of the pitch, Leonard was one of the 17 players who was “grandfathered” in and allowed to throw spitballs after the ban. Leonard did throw a no-hitter in ’18, against Detroit on June 3. But for much of the season, he was distracted by the possibility of being called to war. 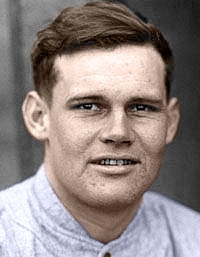 Before the ’18 season, Leonard had considered doing something many of his Red Sox teammates had done—skipping out on baseball and joining a naval yard, which had very competitive baseball teams and, because employment at the naval yards was considered war work, could help keep a player out of the army draft with an exemption. At the time, Leonard had been talked out of the naval yards by owner Harry Frazee. As 1918 went on, Leonard reconsidered. He was Class 4 in the draft, because he had been married that fall and because he was a farmer. But as the draft exemption rules changed, Leonard was a good candidate to be bumped up—draft boards overlooked the marriage exemption in cases where there was enough money for the wife to live without the husband (like Dutch), plus marriages that happened after the draft was instituted (like Dutch’s) were being discounted. And farmers who were not actually doing the farming (like Dutch) were losing their exemptions, too.